Today we catch up Chinese cinema news from the last couple of weeks, which I was unable to report while travelling. As always, the Google translation is not perfect, but as we do not have a journalist on staff who can translate perfectly from Mandarin (yet! ), it will have to do. We are also saving the biggest piece of cinema news to come out of China recently for a separate post. Our favourite Chinese (digital) cinema equipment manufacturer Chen Xing has issues a list of “Seven Rules for Cinema Brand Building” that heavily promotes its own technologies and solutions, while also providing an insight into the company’s thinking and strategy. Don’t forget what we’ve written about them before: “China’s ‘Last Mile’ Plan for Digital Cinema: Ditch Western Technology.” This is as much true for smartphones and airplanes as it is for cinema equipment – China does not want to keep importing ‘Western’ technologies but build their own (then export it). Such competition and innovation should not be seen as a threat but a good thing. The Seven Rules are: acoustical design, sound system, laser light source projection, TMS centralized management and control systems, cinema ticketing management system and service quality guarantee system. Chen Xing fires a shot across the bows of the other manufacturers by pointing out that while not being part of the original DCI elite, it is one of the largest server/media block deployers in the world today. Digital Film for film and television industry has brought tremendous changes. Especially in distribution and exhibition side, digital cinema technology has maintained rapid growth in recent years. Of course, these are inseparable from the updated device technology. Regardless nowadays 3D, IMAX, 4K and other high-tech marketing, have become an end shadow vane hall, the market demand for high-tech also “hubbub straight on.” Christie, Barco, NEC, SONY have launched projectors with laser light source, which means Hollywood recommended type of light source laser source trend. Imax screens only account for one per cent (1%) of the total Mainland screen count but an astonishing ten per cent (10%) of the box office, according to an interview with Imax’s director in China Yuan Hong. He also reiterates that China’s total box office will overtake the United States, some time between 2018 and 2020. “When will we surpass the United States? Five years ago we did not expect to ask this question, now it is just around the corner,” he observes. 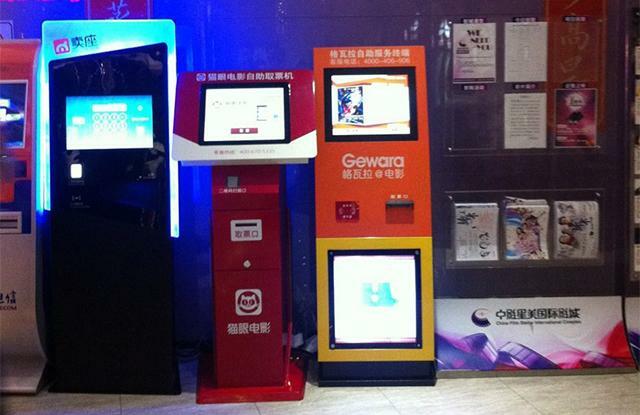 Next year an astonishing 50% of all cinema tickets sold in China will be electronically. But with several competing operators, this is not a smooth and easy transition for the industry, although the likes of Wanda and UME Studios have recently introduced single machines that can issues tickets sold by different vendors. And with greater use of barcodes, QR and other two-dimensional codes on smartphones, soon there won’t be a need to print tickets in the lobby, but merely to scan the smartphone entering the auditorium. 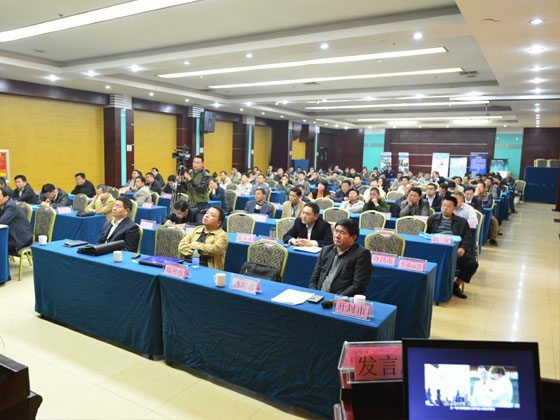 Following the comprehensive digital projection technology, Chinese film industry is undergoing a second major change, and that is the way ticketing network sells tickets. According to statistics, by the end of 2014 the network platform turnover accounted for about 40% of the total expected box office, and in 2015 it is expected to exceed 50%. Way ticket network, also affected the audience and the theater is not just that it acts on the consumer end of the nature of the decision, the entire Chinese film industry will bring more disruptive change. Wanda may be the biggest cinema operator in China, but it is not the only one, with even small players like Star Cineplex/Stellar International Cineplex (SMI/SIM) showing significant growth, coupled with innovation in areas such as cinema advertising. This analysis from Stockstar (!) provides an excellent overview. 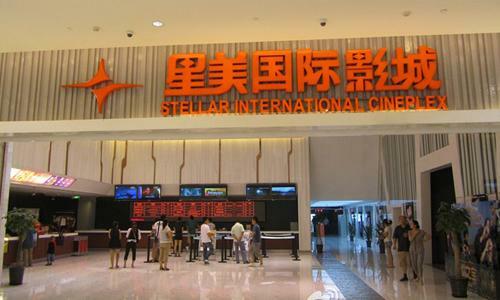 Substantial growth in revenue and net profit, respectively, 38.2% and 44%: 2014 mid-Stellar recorded a 38.2% growth in revenue to 875 million yuan, mainly attributable to the cinema business grew 45.8 percent to 761 million yuan and counter sales grew 439% to 114 million yuan. Gross profit increased 64.4% to 564 million yuan, gross profit margin increased dramatically 10.3 percentage points to 65 percent, mainly driven by higher gross profit multi-media platform for business growth. Profit attributable to shareholders rose 44% year-to 101 million yuan, the annual earnings per share increased 31.4% to 1.13 cents. No interim dividend. As part of its expansion Star/Stellar has signed a deal with Imax for a further four screens. 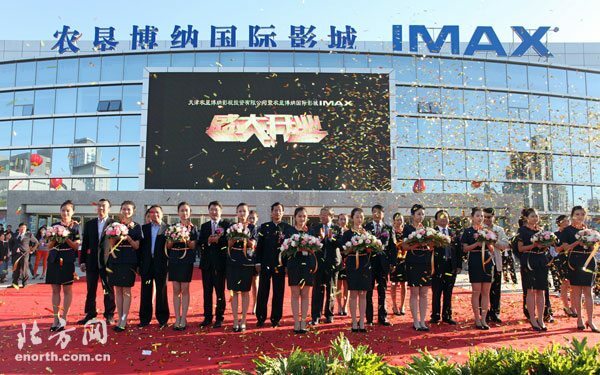 IMAX Corporation and “Star Cineplex” cinema operator SMI Corporation Limited, today announced that it will expand both the revenue-sharing agreement, the new four IMAX theaters in China. After the signing of this agreement, IMAX theater Stellar’s number increased to 11. 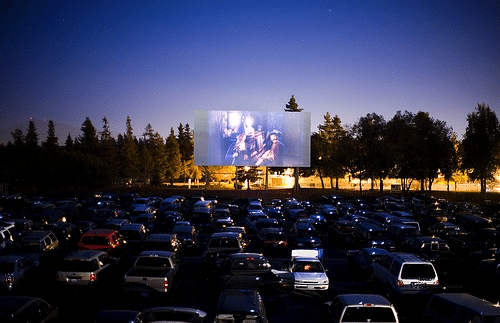 Drive-in cinemas seem to be opening as fast in China as they are closing in the United States. Like this one. September 19 to 21, three Sheng CITY outdoor car theater officially opened. Not only can their mobile exclusive private space, to regain the feeling of open-air cinema, you can enjoy three-sheng · CITY free food, experience the unique charm of the car theater! Sina news agency reports that there is a greater push by municipal authorities in cities like Shanghai to provide accessibility (or barrier-free) screenings for people who are visually impaired, usually at community centres rather than cinemas. 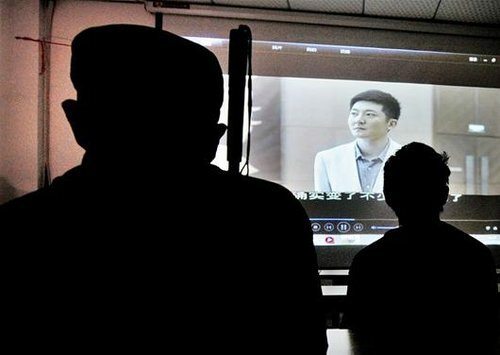 It is reported that Shanghai currently offers a monthly special barrier-free films at 16 commercial theatres for the blind in Jing’an, Huangpu District, the two focused on Cathay “watch” the other district (county) of people with disabilities are in their respective districts (counties ) theater, “watching”, all of these barrier films screened by special radio and TV host site as a volunteer to explain, explain, movies, theater schedule is the latest movie. 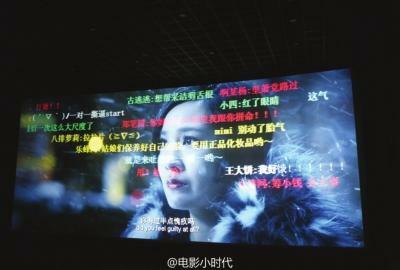 It seems the backlash against ‘cinema barrage’ has begun in earnest in China. While happily embraced by the ACG (animation, comics and games) youth crowds for films like ‘Tiny Times 3’ and ‘Qin Moon’, it does not appear to be spreading to other films yet. 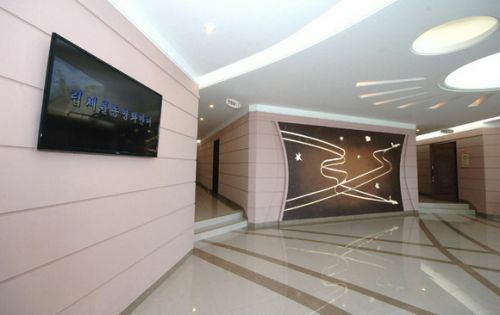 Several Chinese papers reported about North Korea’s first 4D theatre complex with five screens. Based on the pictures and descriptions it looks quite good fun. I hope to be able to review it in person one day. North Korea will 4D movie called “three-dimensional rhythm of the film”, this movie is based on a 3D stereoscopic film, with shock, water, odor and other environmental effects simulation consisting of video products. September 2013, Pyongyang Aya Luo Renmin amusement park into a “rhythm rungra dimensional cinema,” to fill the gaps in the Korean domestic 4D theater. 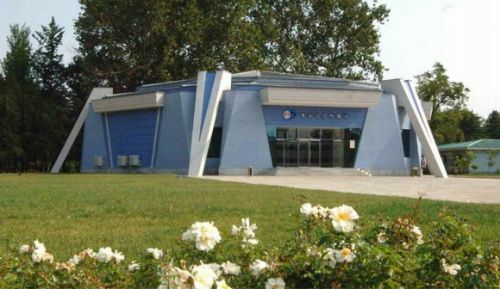 May this year, is located in Gangwon Wonsan of Greenfield Park and built a second “three-dimensional rhythm cinema”, which is where North Korea’s first 4D movie can play place.